I have wanted this palette for over a year so when it finally went onto the Debenhams website, I put it on the top of my Christmas list. I was so excited to start playing around with this and it hasn't disappointed. I had been on the hunt for an all matte palette and this has quickly become a staple in my makeup bag. 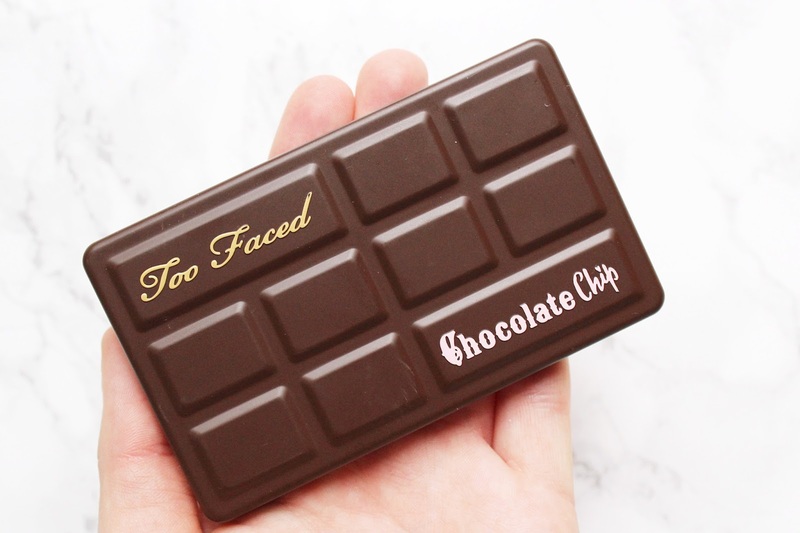 This is the pocket-sized Matte Chocolate Chip Palette that contains all matte eyeshadows of 11 Too Faced's iconic Chocolate Bar shades that have been transformed into matte finishes. They also have a White Chocolate Chip Palette which includes gorgeous shimmer shades, I am really thinking about picking that one up too now as I have been so impressed with this one. The packaging is slightly different than the full sized Chocolate Bar Palettes in that this one is plastic and the bigger ones are metal but it does still feel like good quality and feels durable. The palette is a little less than half the size of the normal Too Faced palettes and it's very sleek so it takes up little room in my makeup bag. Inside the palette is a full-sized mirror on the inside of the lid that is perfect for on the go applications. This palette has been formulated with gluten and parabens and is cruelty-free and vegan. All of the shadows are the same great quality as they are in my full-sized Chocolate Bar Palettes, just with smaller pan sizes. Even though the pans are much smaller, you can still easily fit your favourite brushes in them. If you have both the Semi-Sweet and original Chocolate Bar, I don't think this is a palette that you necessary need in your collection as it is basically these two palettes combined, just with matte finishes! The shades have great pigmentation and for matte shades, I was surprised at just how soft they were, I usually find with matte shadows that they can be a little drier. They are very easy to blend and I never use an eyeshadow primer (mainly due to the fact I haven't found one that I love yet) and they are extremely long-lasting on the eyes. They don't fade or crease at all throughout the day on me! They do have a slight shadow kick back in the pans when you are picking up the shadow onto a brush but with minimal fall out while applying them which is all that matters to me. There is nothing worse than doing your eyeshadow and ending up with shadows all over your face and ruining your base makeup. 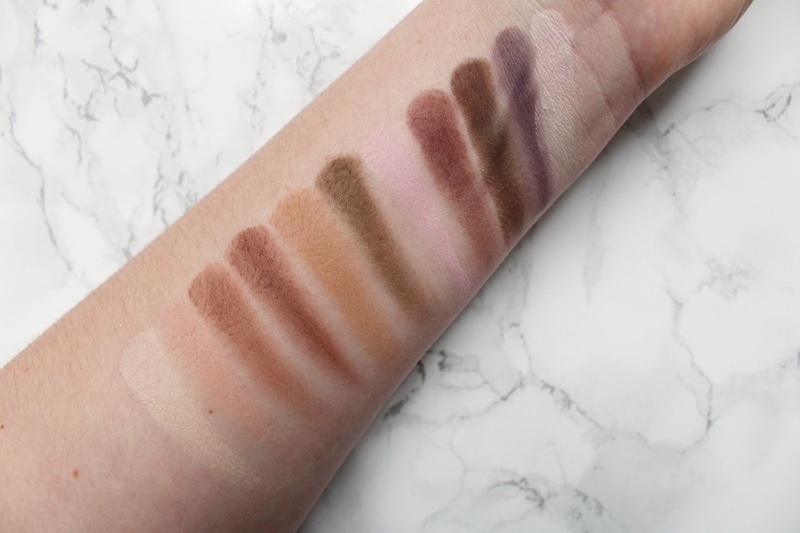 I love the shade selection of the eyeshadows as they are all quite warm tones, I am obsessed with warm tone shadows, and you can create quite a few different looks with just this one palette. You get White Chocolate as the main highlight shade and this is what I use every single day to highlight the brow bone and I had hit pan on it in my big palette so I am so happy it's included in this! You also get the Strawberry Bon Bon shade from the full-size version and I have been really enjoying this as a lid colour! My most used shade at the moment has been Matte Creme Brulee, I have been using this in the crease as a transition shade and I just can't get enough of it! 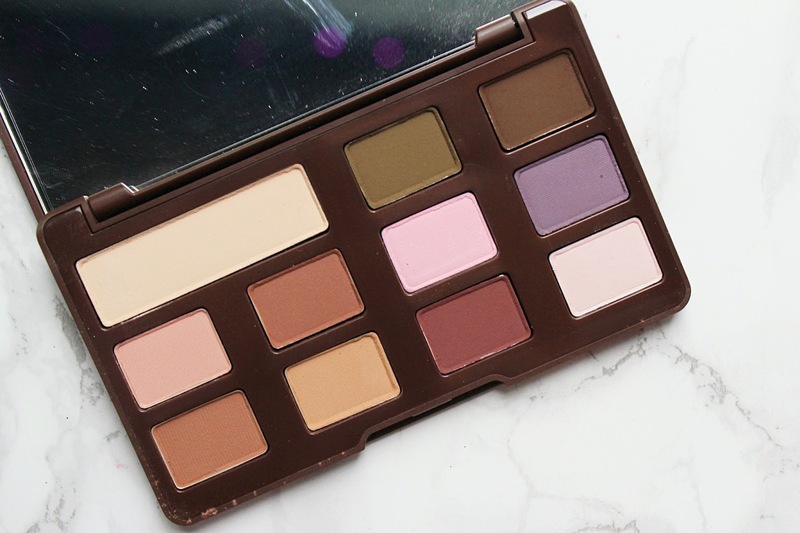 The only thing I don't like about this palette is that it is missing my favourite eyeshadow shade which is Salted Caramel from the original Chocolate Bar Palette. If this shade was included it would honestly be my favourite ever palette so that's the only drawback and the slightly negative thing I have to say about it! And of course, this palette smells good enough to eat as it is infused with cocoa powder. 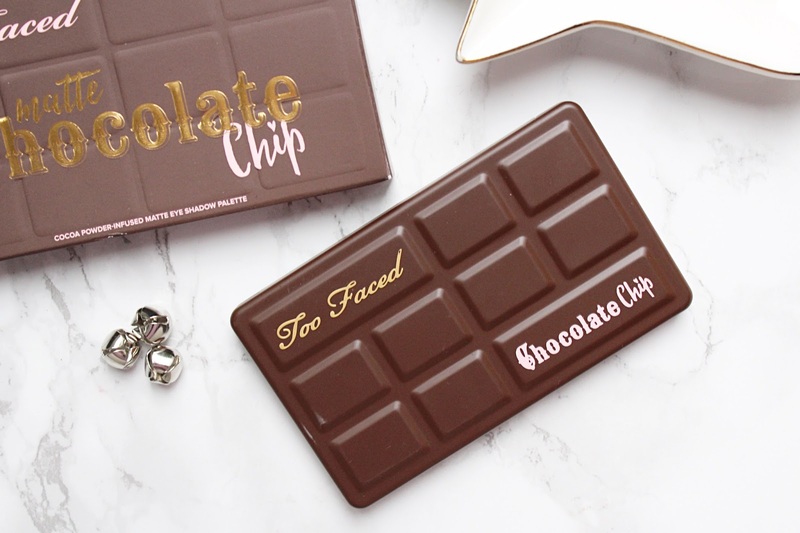 The Too Faced Matte Chocolate Chip Palette retails for £22 - HERE.